Elisio Pitta brings to you a modern fusion of the latest technologies and ancient arts in a powerful and visually stunning reinvention of the popular and dramatic tragedy: Othello as you have never seen it before! Influenced by the artist cultural background, themes of slavery, racism, liberation and natural magic come to the surface using elements of modern afro-dance, capoeira and classic ballet which are woven together by the symbolism of Orisha* dance and percussion, supported by a powerful sound track. 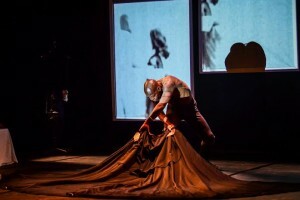 Elisio Pitta is an internationally renowned Afro-Brazilian Capoeira and dance master who has choreographed over 50 pieces and is currently Artistic Director of Companhia C Danca Negra. Q&A with the artists will follow this performance.